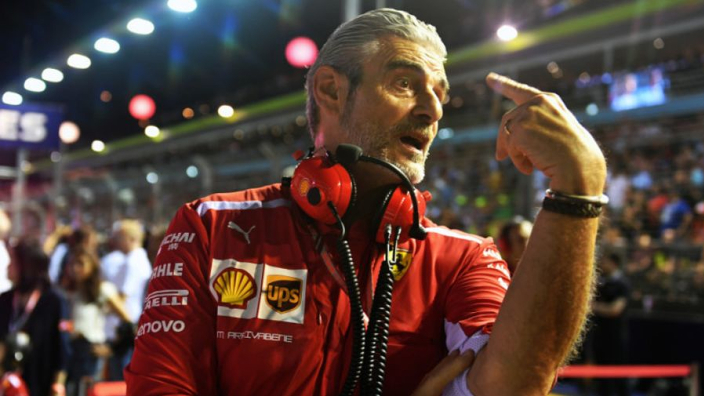 Ferrari boss Maurizio Arrivabene insists that he must take responsibility for each of Ferrari's failings in the 2018 championship race as the buck stops with him, and defended the strategy of both Sebastian Vettel and his engineers following a disappointing Singapore Grand Prix. The Scuderia currently trail Mercedes in the constructor's championship and indeed in the driver's championship with Vettel second behind Lewis Hamilton. The German driver has come in for some criticism in recent races, particularly from the Italian sports media, but Arrivabene has asked that any negative comments be directed to his role within the team. “The only mistake you see in front of you is me. I’m responsible for the team," Arrivabene said.